This early model of transport from Corellian Engineering Corporation varies greatly in design from the general concept of the later ships in the YT series of transports. Slender and long, this ship looks like a loaf of bread sliced lengthwise along each side; essentially, a long, slender center section with two engine nacelles on either side providing thrust. 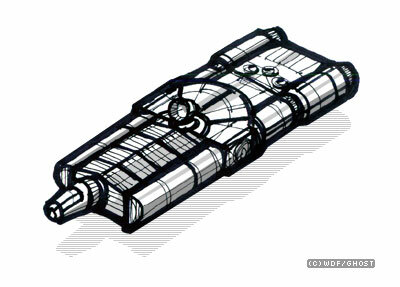 The ship saw a good amount of use during the days of the Old Republic, as like most CEC designs it was easily modified. Almost nothing in the ship's design, save for a few core systems, was unalterable, and smugglers, pirates, merchants, and other spacefaring entrepeneurs took advantage of this and turned their ships into a personalized transport that suited their needs perfectly.